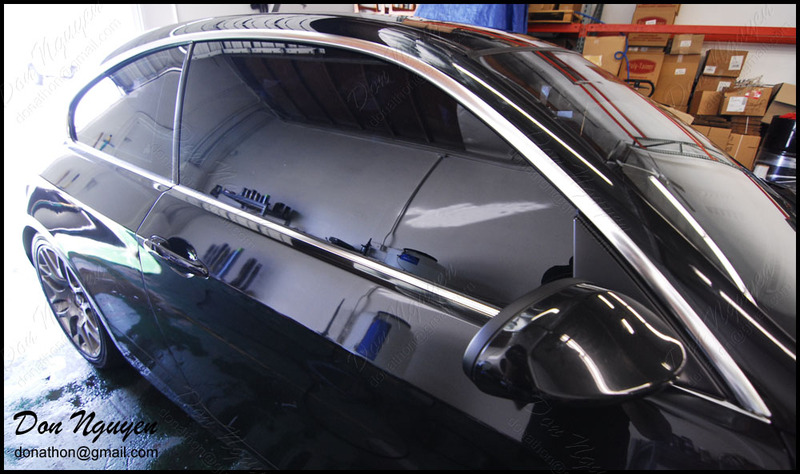 Blacking out the chrome window trim on a black car is one of the biggest changes that you can make to change the look of the car and be able to maintain a factory OEM look at the same time. 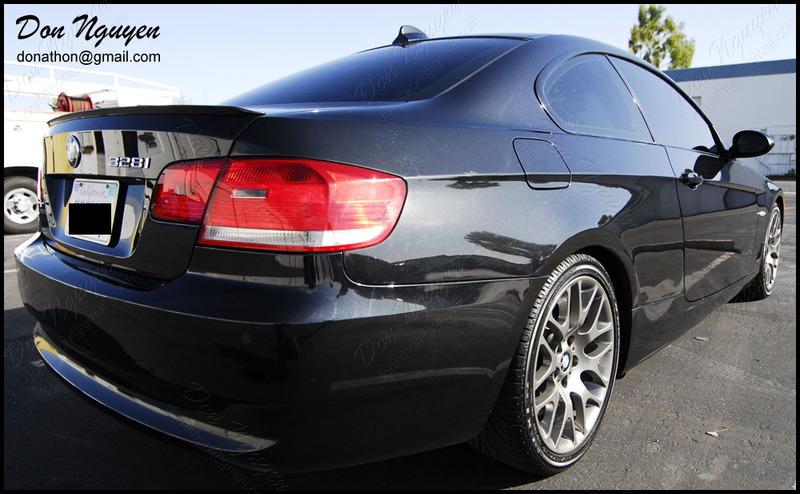 The owner of this black BMW E92 328 coupe had me vinyl wrap the window trim of his car in my gloss black vinyl material to have it match the gloss black paint of his car. 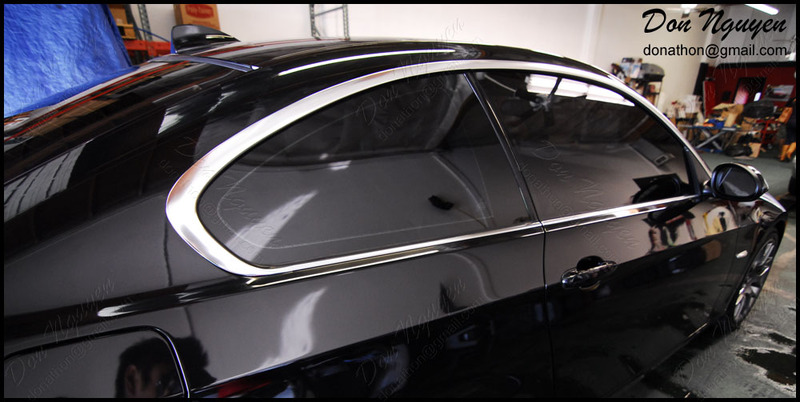 The owner was from Glendale / Los Angeles and came out to me in Anaheim Hills / Orange County to do the vinyl work.